Michael Olivares is the frontman for The Mantles, one of our favorite Bay Area bands. He has released some solo work recently, but I think Really? marks his first solo album. And of course, it would be surprising if there was no similarity with The Mantles, but it is in no way another album from that group released under a new banner. The introspection is more overt, the instrumentation more subtle. Those twin shifts seem small in print, but when added to a more sedate pace you have, at least in terms I use, an album that lives inside your head more than outside your head. That makes a difference in when and how I listen to piece of music. For example, I'm writing this review after 10pm with a large IPA at my side, a dog at my feet and no light except the monitor. It is that kind of album. The triumph for Michael O is that I feel very satisfied with this set up. And when the album finishes, I expect I'll listen to it again (that likely will require another IPA, but we music writers are willing to suffer for our art). 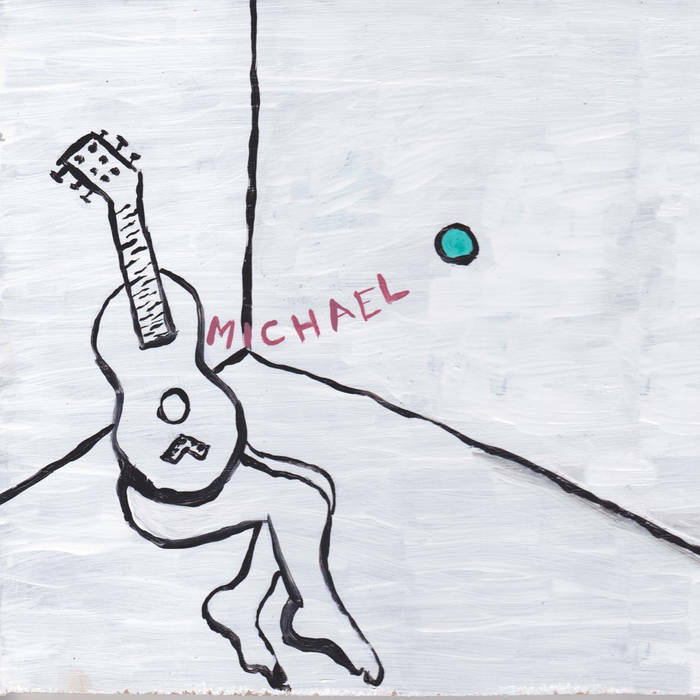 Introspective but unsentimental bedroom pop with solid melodies and a bit of jangle. This is good stuff. Seattle isn't really known for guitar pop, but it should be. The Emerald City has a wealth of indie bands covering a wide range of styles. Favorites we've covered in the past couple of years include Zebra Hunt, La Luz, Posse, Dude York, Seapony, Unlikely Friends, and Tangerine. 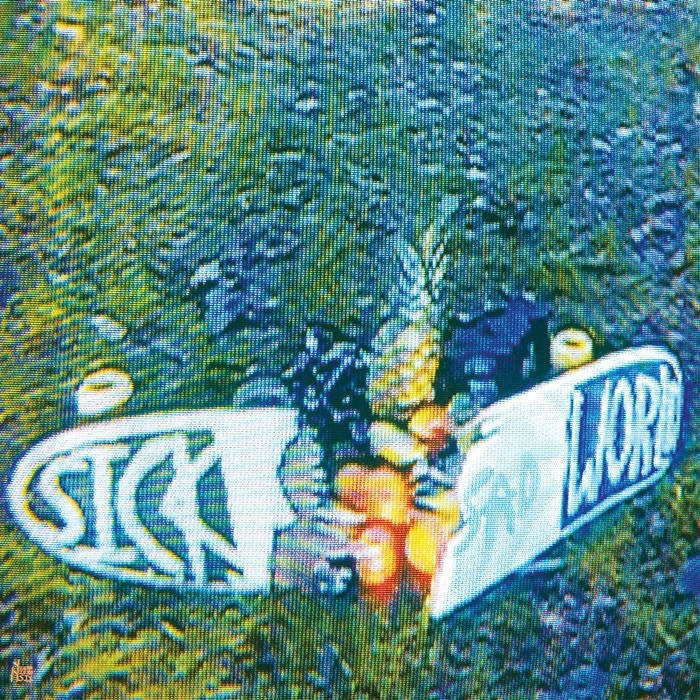 Now we are adding young Jake Jones, who records as Sick Sad World, to the list. Jake has assembled 11 of his songs on Fear and Lies, and we think it is a stunning debut. Full of hooks and riffs, he spreads his songcraft over crunchy power pop, smeared '60s jams (for example, "Orange Lazarus" and "Being Weird") and raucous slacker pop with a few touches of swaggering glam. This isn't the skatboarding Jones' first rodeo, as he is a vet of harder edged bands, but to our knowledge this is his first pop project. His mastery of the vocabulary is obvious, but what makes it really special is his ability to put his own spin on guitar pop. The result is songs with personality and an accessibility the inspires me to sing along (I apologize in advance to those within earshot). Without being the least bit saccharine, they are sunny tunes that remind me of how happy I am that summer is here. So I'll leave you to to sample the goods. It is beer-thirty and I'm going down to the car, opening the sun roof and putting on Fear and Lies very loud. Fear and Lies is out now via Seattle's Help Yourself Records. Source the digital at the Bandcamp link or get the vinyl with a digital download at the next link down. The record was recorded at Olympia's Dub Narcotic Studio with Jake playing all of the instruments. As much as we would like to do so as fans, we can't will The Dentists back into existence. But we have some excellent news for fans of that beloved '90s UK band -- The Treasures of Mexico are here. The band includes former members of The Dentists Mark Matthews and Bob Collins, with the timekeeping duties handled by Russ Baxter. Keeping the various projects of inveterate songwriters Matthews and Collins would take more time than I have, but to keep things straight, the 13 tracks on Holding Pattern are "Mark songs" ("Bob songs" will be coming on the Bob Collins & the Full Nelson album coming soon), and the album started as a solo project. Having invited Bob and Russ to join him, The Treasures of Mexico offer you the sort of delightful pop gems that underscore the second word in the band's name. The songs are direct, melodic and energetic, the lyrics and themes well developed, and the performances are tight. While the songs reflect adult concerns and a bit of a mature perspective, the songs remain bright and vital. 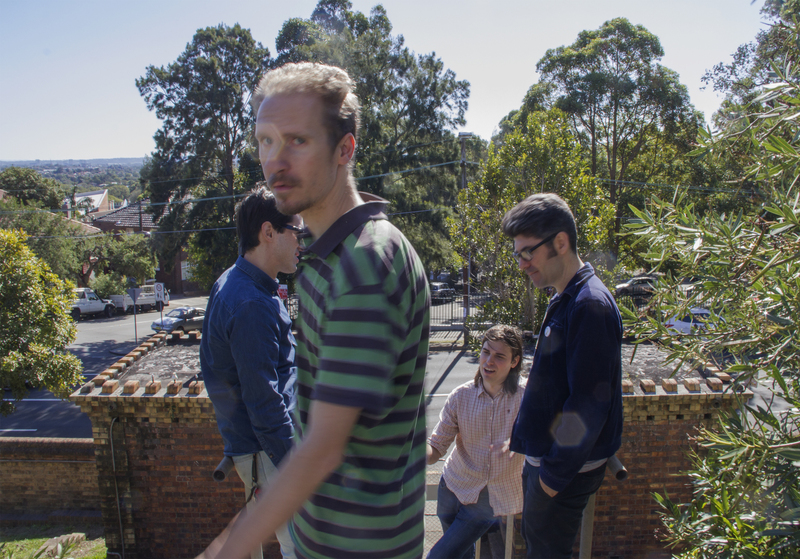 Depending on the song, listeners likely will find similarities to work by The Dentists, The Feelies, The Go-Betweens and The Wolfhounds. And that range of references is deliberately broad, because Holding Pattern doesn't mine a single groove. Some songs feature an aggressive pace and buzzing, crunchy guitars (e.g. "Dependence Day" and "Falling Over", and some songs feature jangling guitars dancing over a relaxed rhythm. My favorite tracks at this point are "Holding Pattern", "Dependence Day", "Let's Start At The Beginning", "Tiny Lies", and "Stars". You can sample a couple of those songs below. Consider this album the shaggy dog that followed you home. You didn't expect it, but you are happy it is here and want it to stay. Holding Pattern is out now as a digital release from Shelflife Records. Expert Alterations have done some tailoring of my beloved jangle pop genre, and I must say the results are very flattering. The Baltimore trio of Alan, Patrick, and Paul have stripped down the sound a bit to make it a bit more elemental. It seems to me that the result add more effect to the elements that remain, giving it a scrappy, semi-punk flavor. With equal parts of energy, melody and anxiety, their Expert Alterations EP is an quick and exciting listen. The five song set begins with the racing pace, pounding drums and jangling guitar of "Venetian Blinds". The following "Bell" begins with a Velvet Underground vibe, but then launches into full bore jangling. Showcase track "Midnight Garden" sits in the middle of the record and provides its most fully realized moment. "Memory Glands" and "Three Signs" close out the proceedings with all of the band's attributes -- and in particular the rhythm section -- on full display. You may find resemblance to bands such as The Clean, Toy Love, The Wedding Present and Human Television. If you are judged by the virtual company you keep, you can judge Expert Alterations a good band to keep your ears on. We know we will. 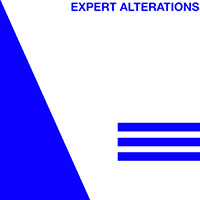 Expert Alterations EP is out now on vinyl from Slumberland Records and Kanine Records. You also can buy the digital at the Bandcamp link below. Check your local record shop or hit the links below. Sometimes it is all about the children. In this case, Little Children. The band is centered around Linus Lutti, with contributions from Andreas Soderstrom and Mathias Bergkvist. Known previously for collaborations with other artists, Little Children worked alone to record the Traveling Through Darkness EP, receiving the help of female vocalist Titiyo on but one track. Comments by Lutti suggest that this record is the fruit of his personal mission to make music that represented his feelings and artistic vision. Not knowing the man, I can only let him judge how well he succeeded in that goal, but from the perspective of this listener, these are excellent songs. When I hit the play button for the first track, I knew nothing of Little Children. Since I was working on some documents, I let the EP play in the background while I continued my business. At some point -- I think during the second song -- I realized that I was listening to something special. I put aside my work and began the EP again from the beginning. The minor key melodies manage to be simultaneously cathartic and soothing. The songs carry an emotional charge, but swathed in bright instrumentation and a propulsive rhythm track the overall effect is positive and memorable. The sound is rich, with thick low-end bass and percussion and dancing high end synths. And there is no mystery regarding the sweet spot for these songs, as Traveling Through Darkness EP is the best late night driving music I've heard in a very long time. Sometimes heartbreak, disappointments and crumbling relationships can sound beautiful. Well, maybe not if you are one on the participants. But if you aren't, it can be grist for a beautiful set of music, as it is for Red Red Skies, the new album from The Catenary Wires. The band consists of duo Amelia Fletcher and Rob Pursey, partners off the stage as well, who have worked together for decades in Talulah Gosh, Heavenly, Marine Research and Tender Trap. Playing all of the instruments themselves and shedding the jangling electric guitars and pace of some of their earlier work for gentler tunes infused with quiet emotion, and a bit of humor, they have crafted a debut album of intense, melancholy beauty with a few dashes of impish pop joy. Instrumentation includes guitars, keys, and bells, but the stars of the show are the vocals -- Amelia's fragile but clear highs and Rob's best Calvin Johnson croon. Their differences blend well and give depth to the quality of their songwriting, as ably demonstrated on album opener "Intravenous" (stream below). Other standout tracks include "When You Walk Away" and "Throw Another Love Song On The Fire" (see video version below). The latter focuses on heartbreak, but in a way that pokes fun at songs about heartbreak. I don't know whether that makes it a happy song or a sad song. Maybe it is a happy sad song, but it is in any case a very good song and gives Rob a nice showcase for his vocals. There is a lot to like in this mini album, and there is a lot of promise in the comfortable intensity of Amelia and Rob as a performing partnership. I hope that this is just the beginning for The Catenary Wires. Red Red Skies is out this week on Elefant Records in Europe and Matinee Recordings in North America. Are you now, or have you ever, kept a "junk drawer"? When I was young we (me and my 345 siblings), each had one drawer of our dresser for items that didn't fall into any other category. Our mother referred to it as our junk drawer, and the name stuck. The thing of it is, the stuff in the drawer was certainly not junk. Some of our most treasured possessions were kept in those drawers, assigned there in part because they were so special, so different from stuff that was easily categorized for other drawers. Every time I went to my junk drawer, I knew that I was going to be delighted. 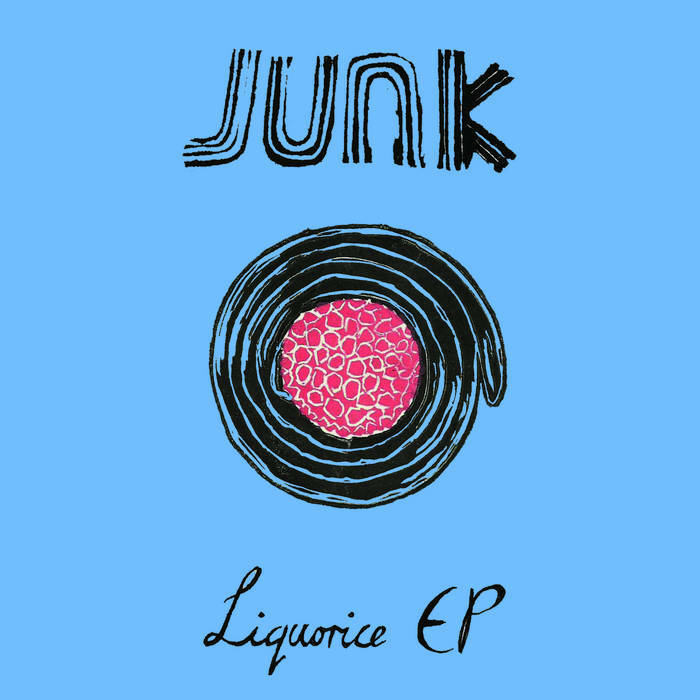 So too, I suggest, will be your look into the Liquorice EP from York, UK trio JUNK. Crunchy garage pop and jangling fuzz rock that you will want to keep with your special editions of new music. Yes, indeed, the delightful music of JUNK belongs in your musical junk drawer. The EP begins with the jangling, high energy standout "Dirt In My Eye". With a bit of taunt to the vocals and a big chorus, it is one of my favorite songs of the year. The following "Dennis Willson" backs off to mid tempo and dials up the jangle. "Willows" holds the position as the hardest rocking track on the EP. And it leaves no doubt that these kids can rock. But even when they rock, they take the time to write a ear worm chorus. The closing title track is another favorite. The with a deliberate pace and and extra dose of fuzz around the hooks, this might be way The Jesus and Mary Chain might have sounded like with a female vocalist. It is good enough to eat. Estella Adeyeri, Sam Coates and Danny Barton have only been a band for about a year and a half, and this is their second EP. But sometimes you don't need to have years and years, album and albums, to judge who has "it". Believe me, JUNK is the real deal. The Liquorice EP is available as a digital download or cassette. See the Bandcamp link or the CHUD Records order page.